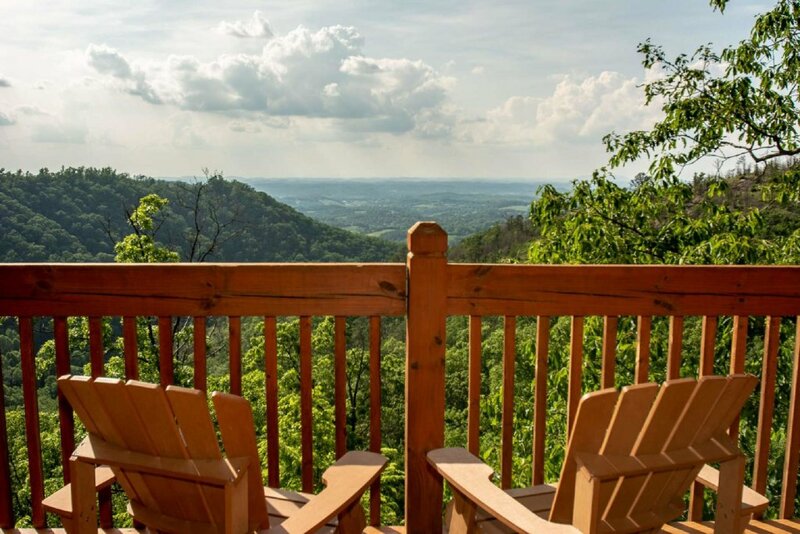 Falcon Ridge is all about the VIEW. 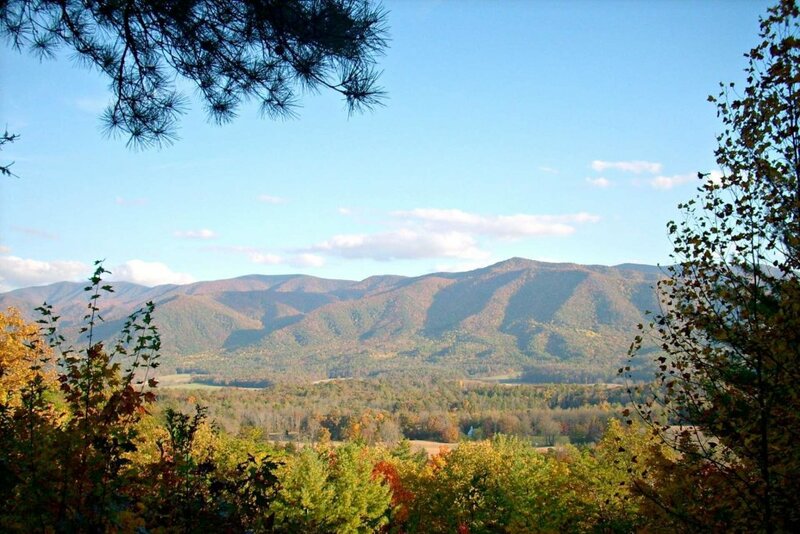 You come to the mountains to enjoy the landscape. 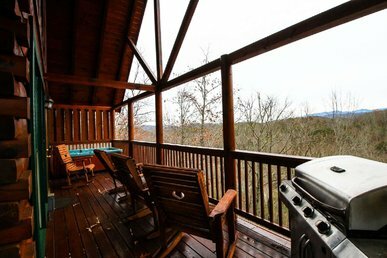 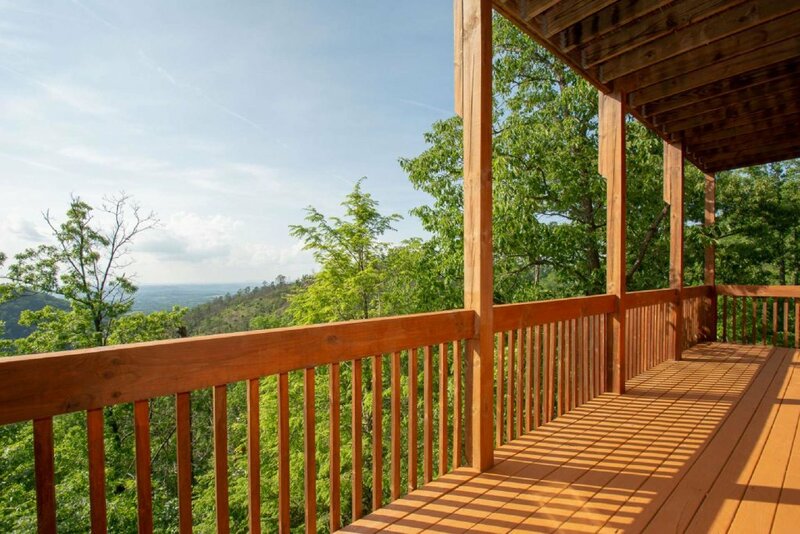 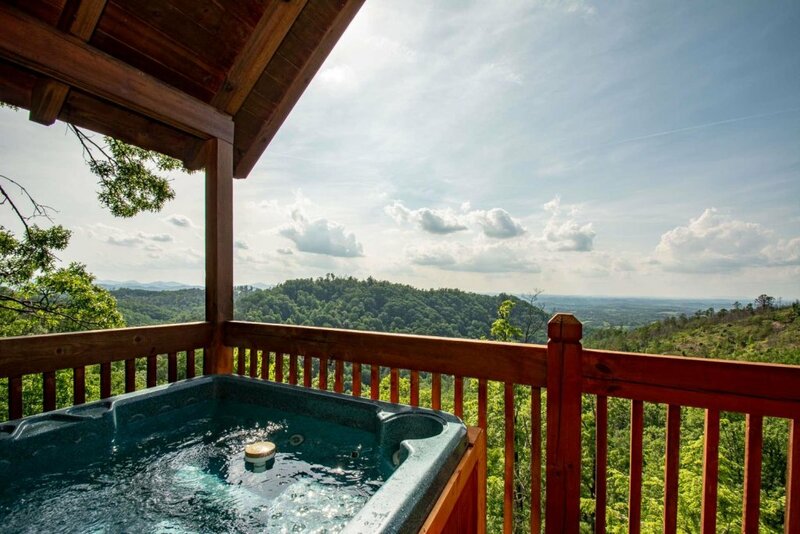 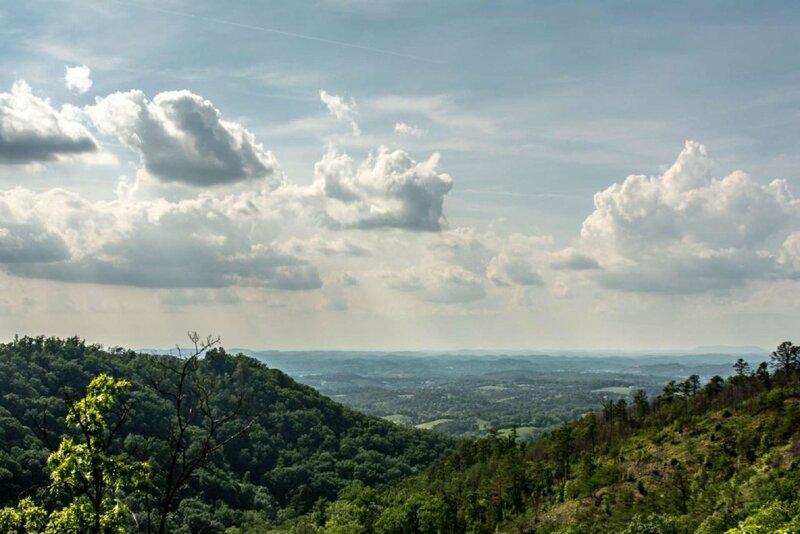 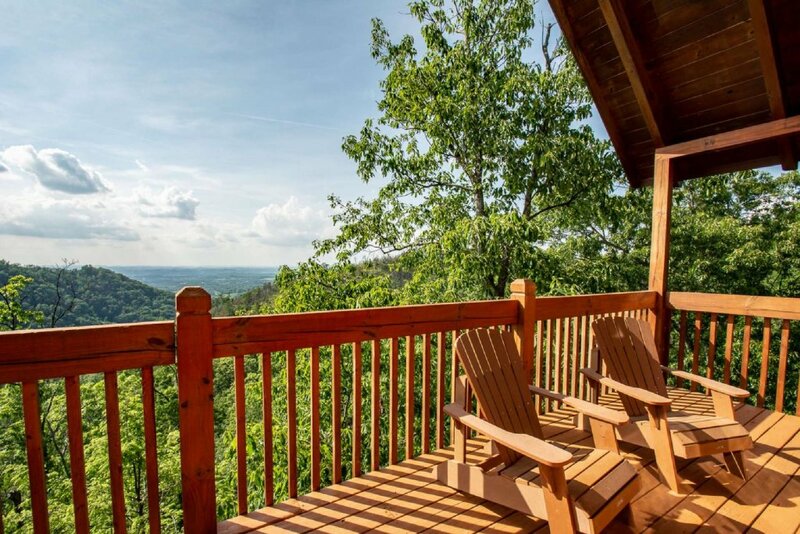 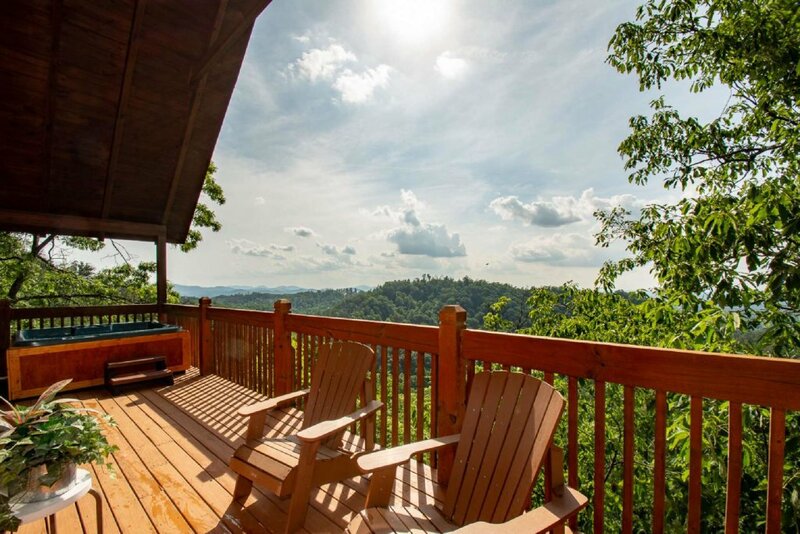 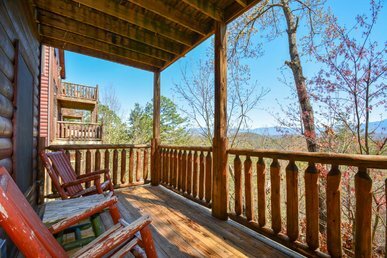 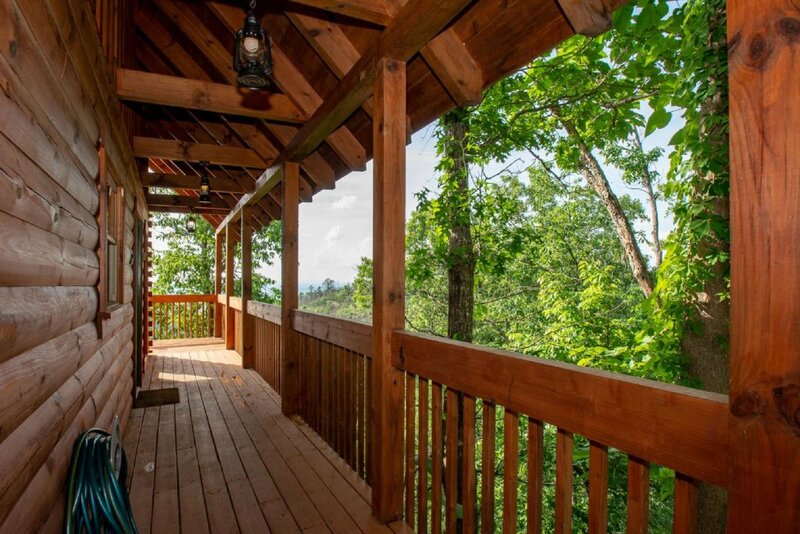 Falcon Ridge is one of those cabins that lets you take in the view for Miles and Miles. 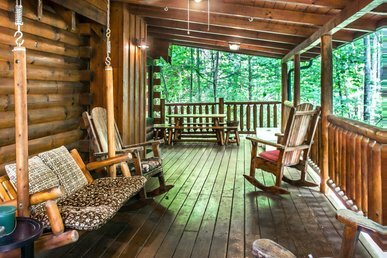 From the back deck, relax in one of the Adirondack chairs and just ENJOY. 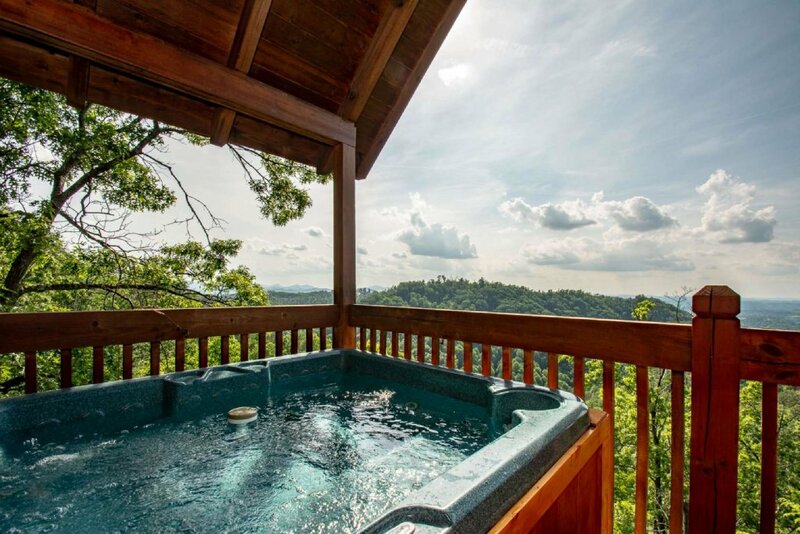 Hours of relaxation are available during your stay as you take in the incredible view. 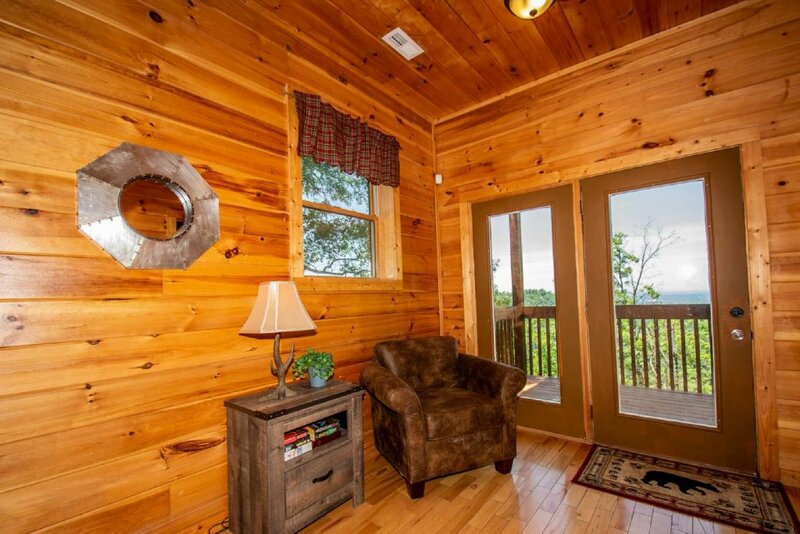 But the view is just as great on the inside. 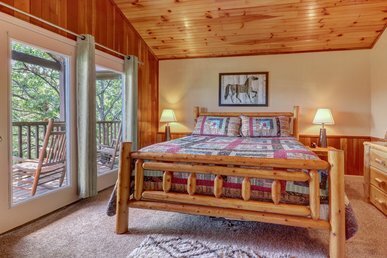 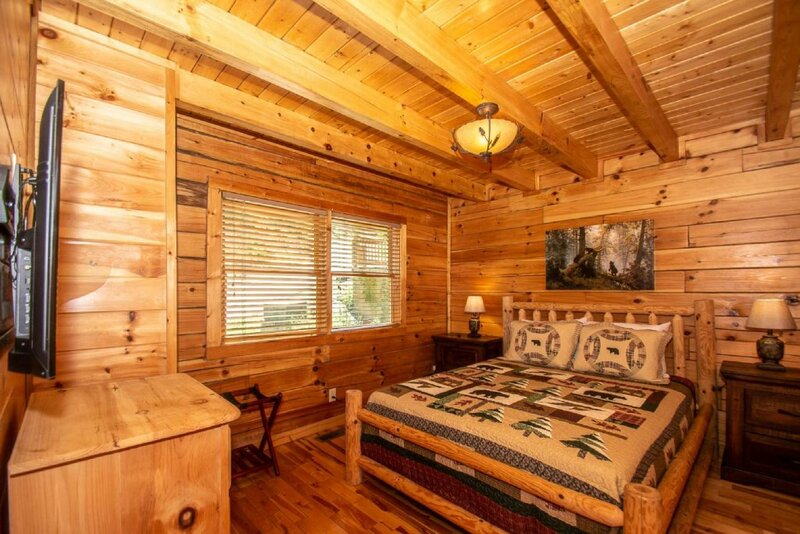 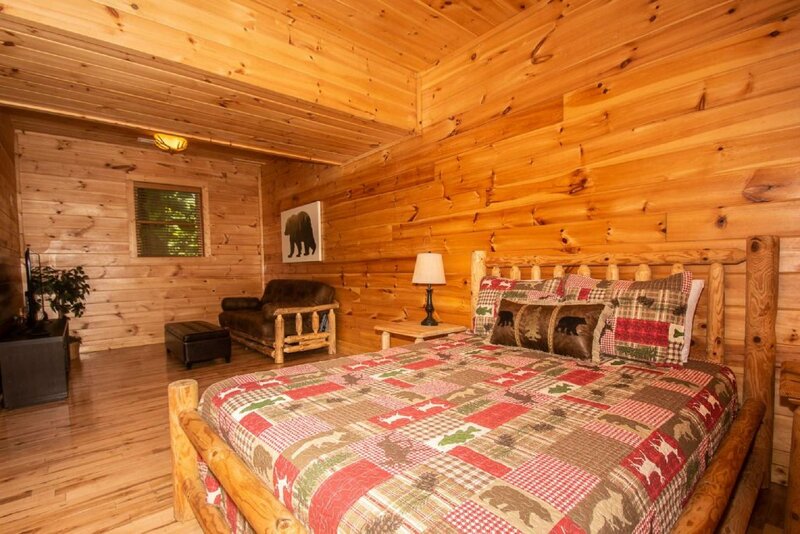 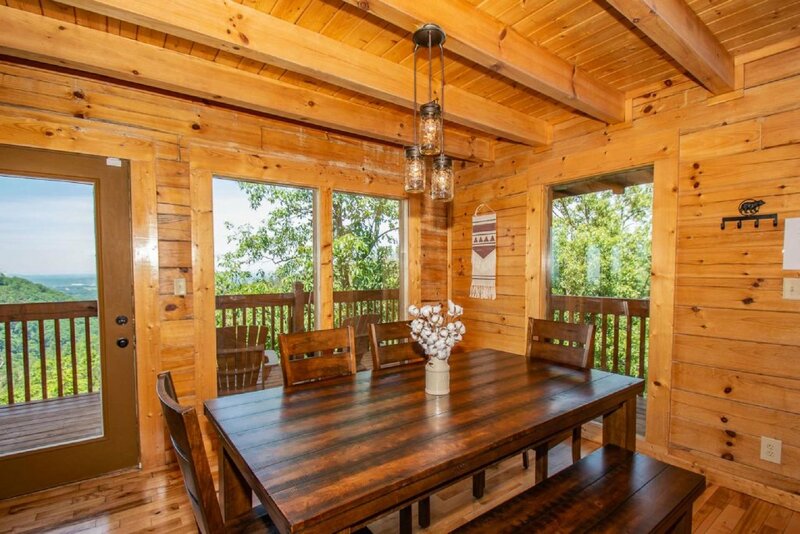 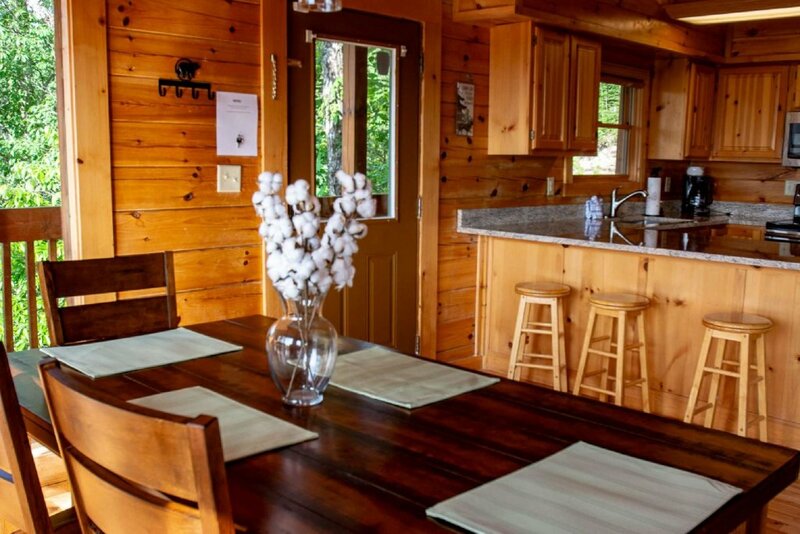 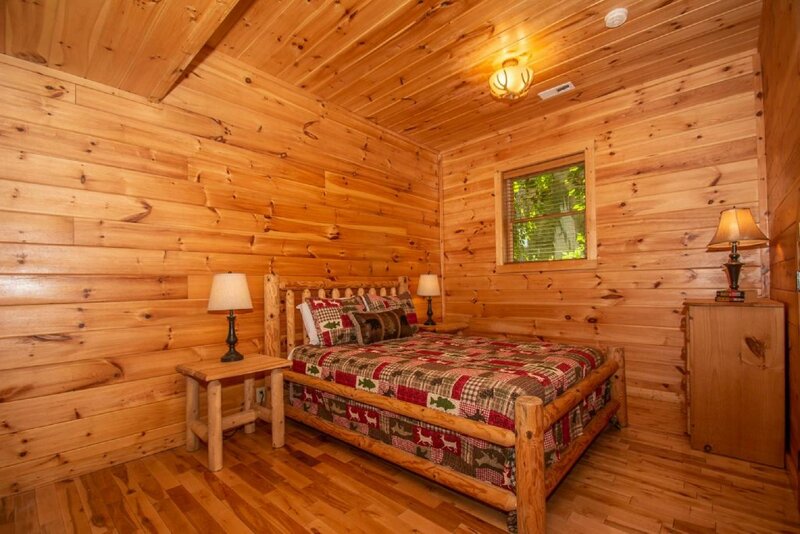 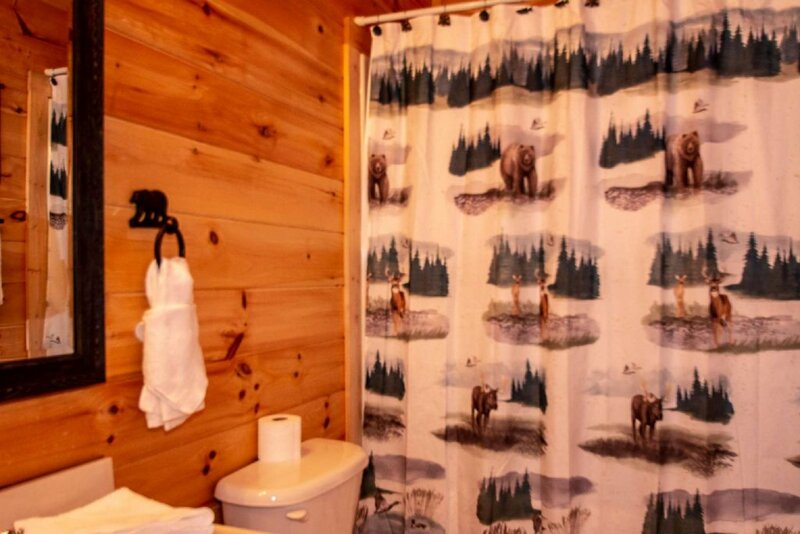 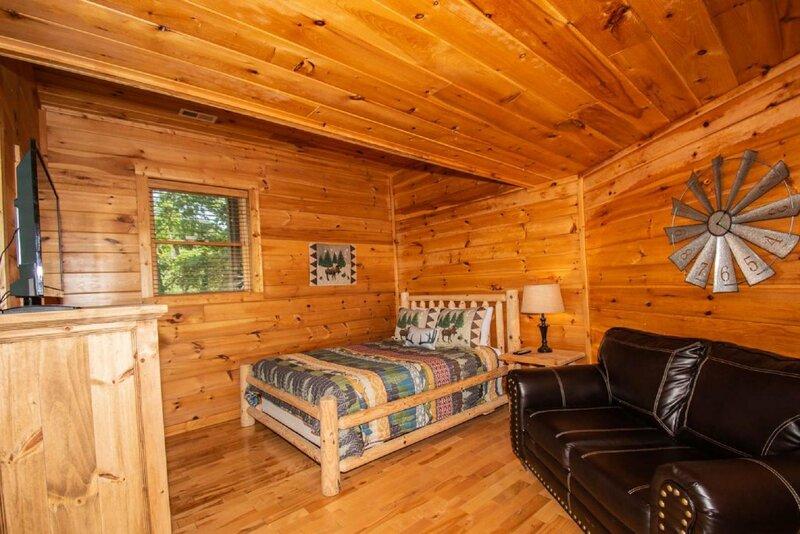 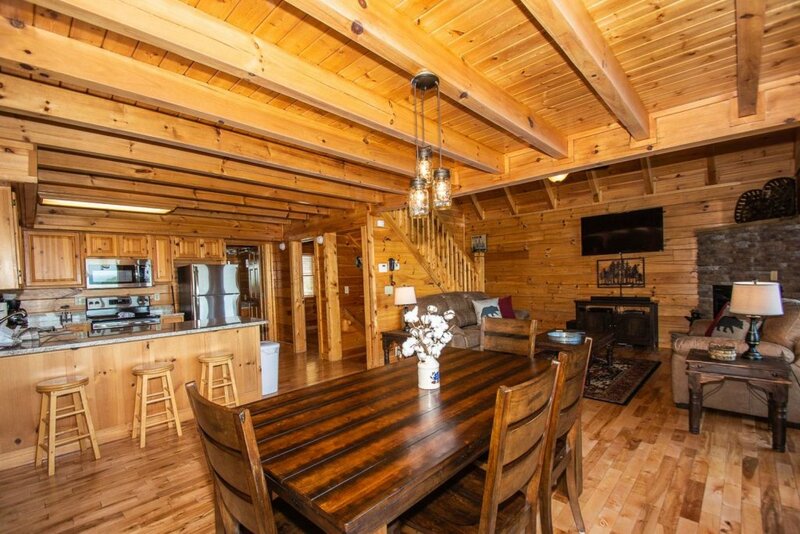 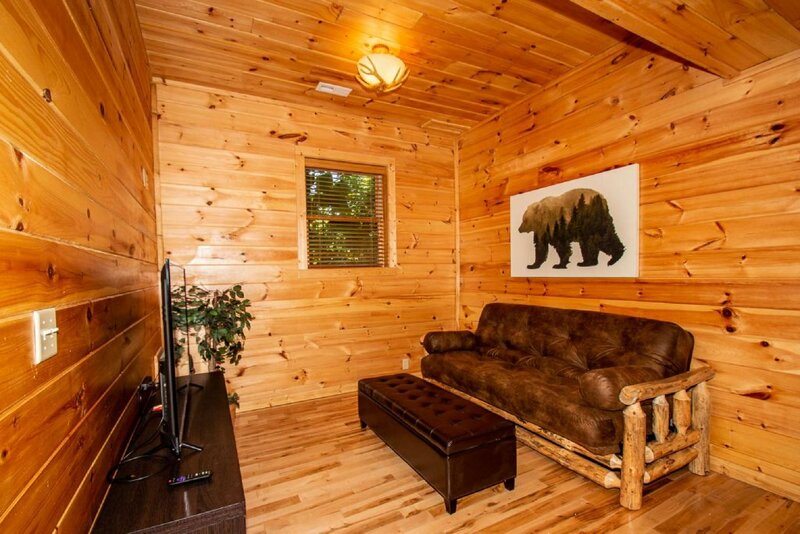 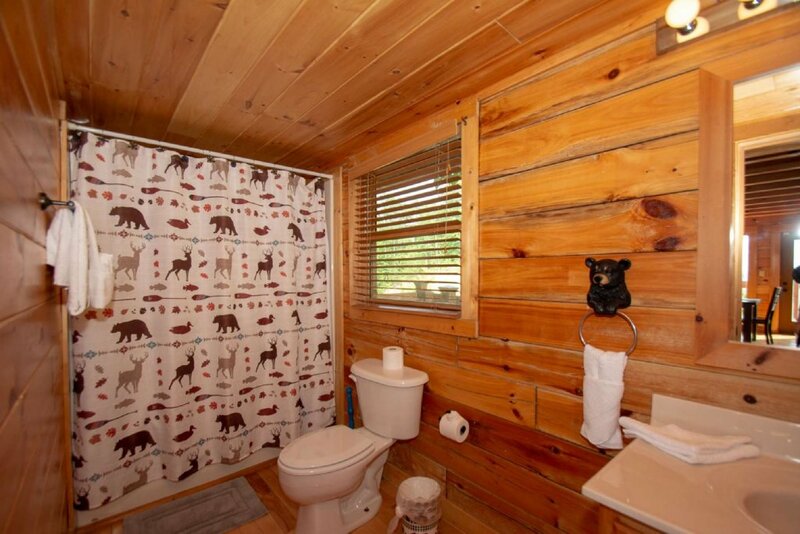 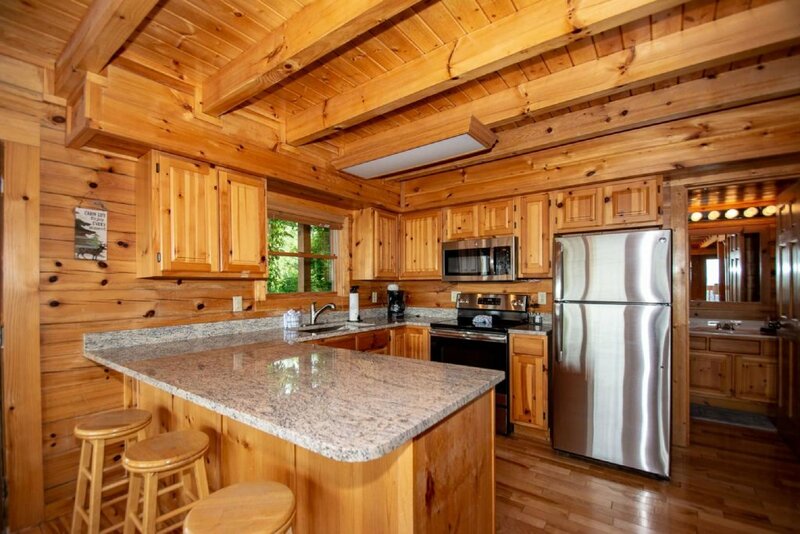 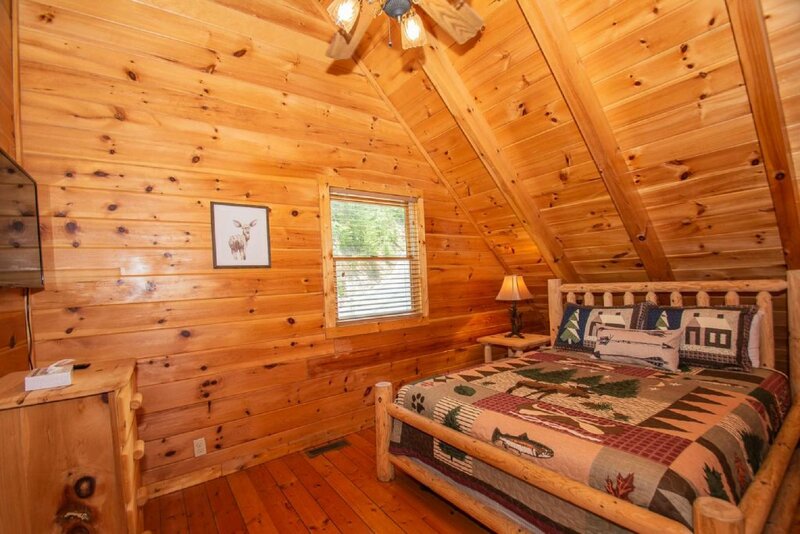 This newly redecorated cabin is so relaxing and beautifully appointed. 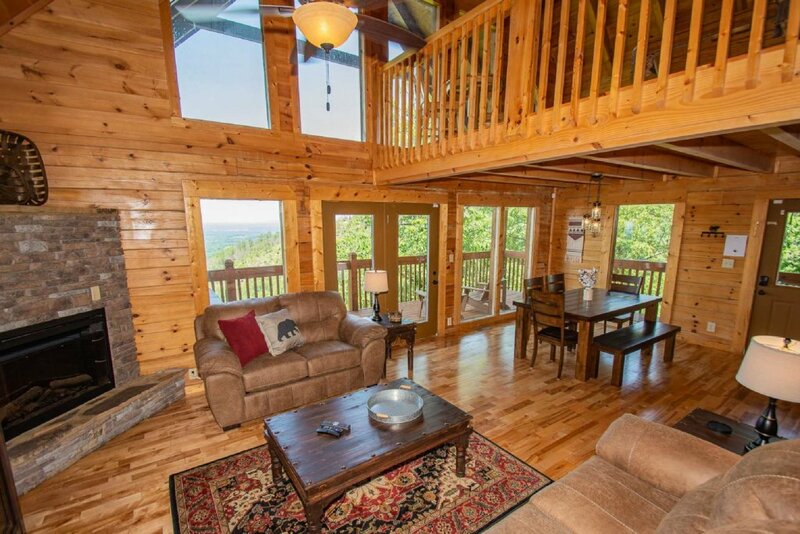 From the open air Living area with high windows you can enjoy the same view while staying in the comfort of the cabin. 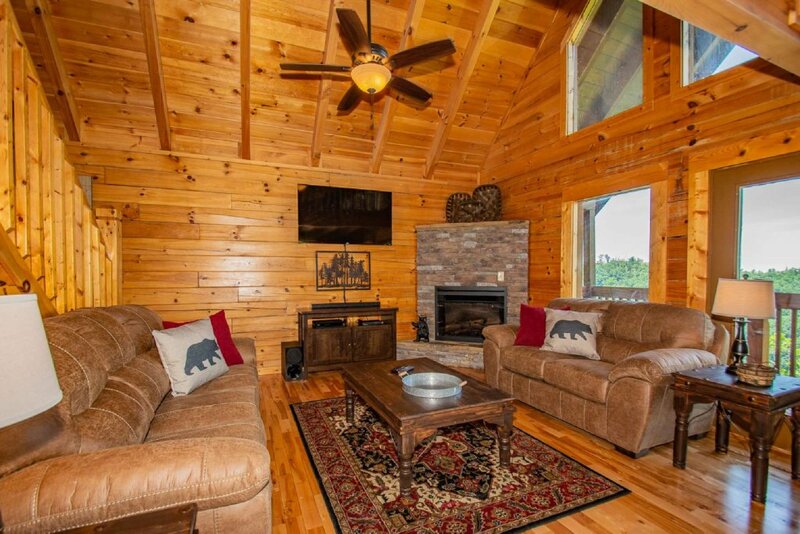 The stone fireplace, lofted game room, granite and stainless kitchen and new decor, all come together to make you feel like you will never want to leave. 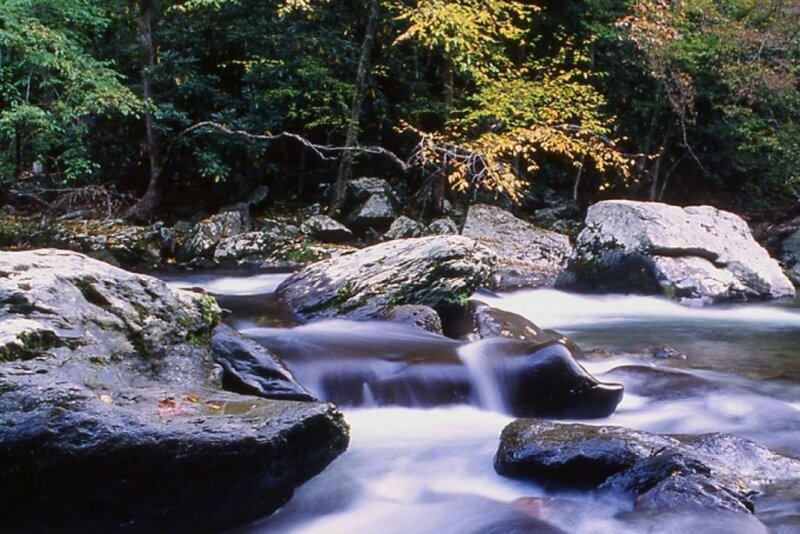 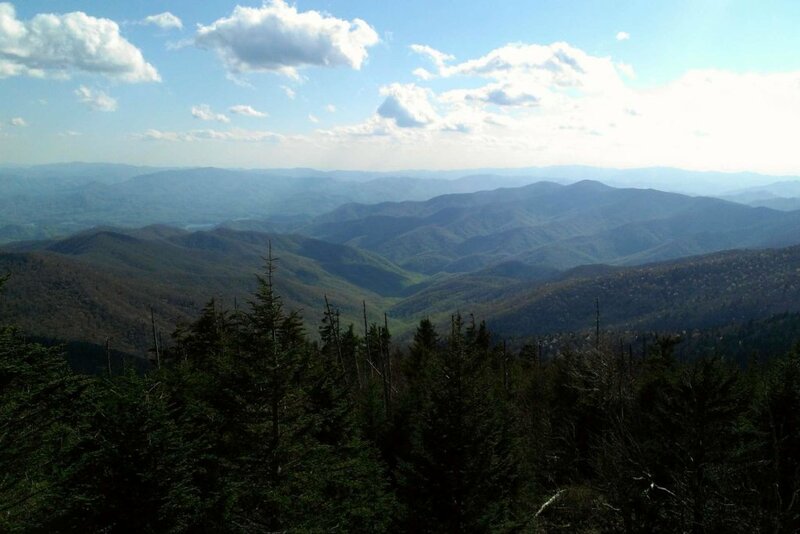 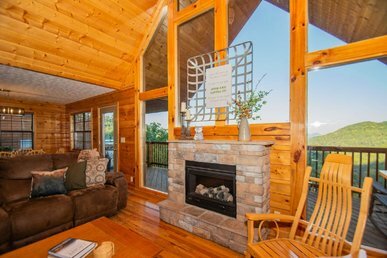 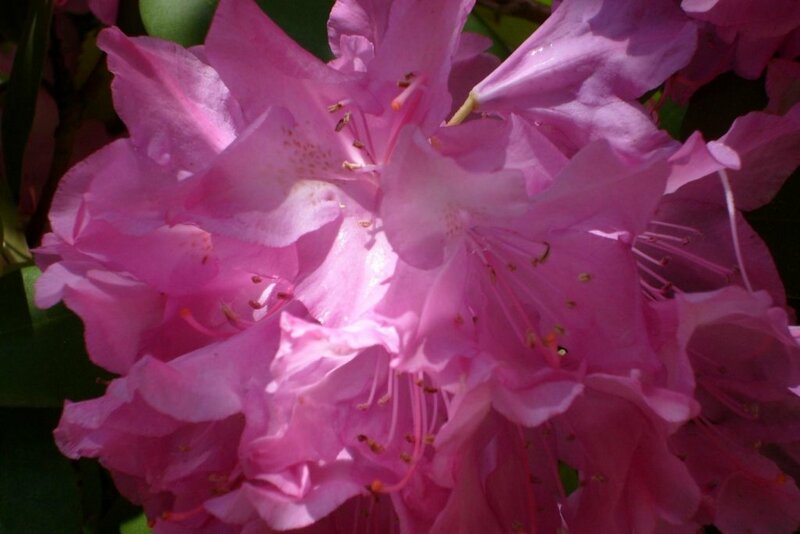 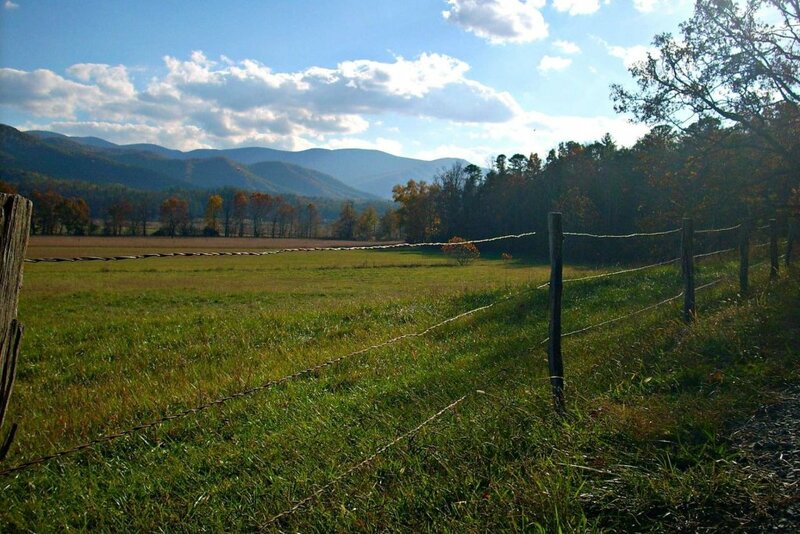 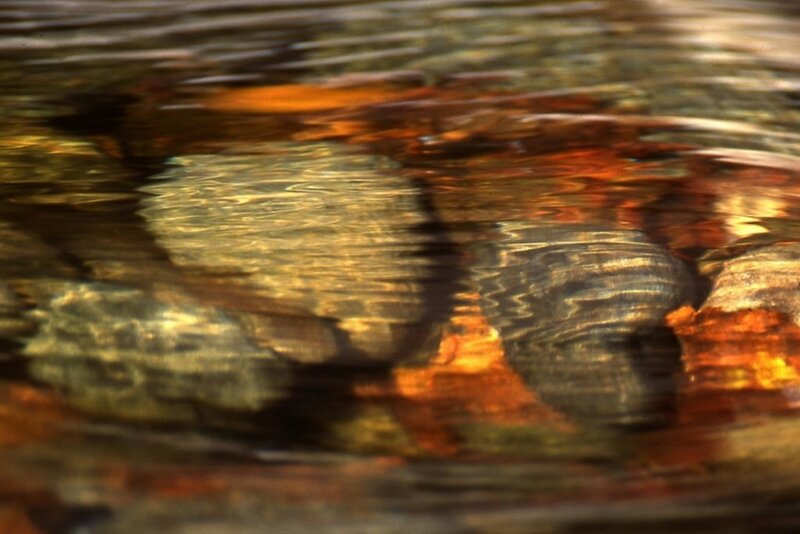 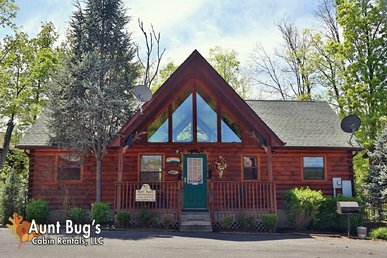 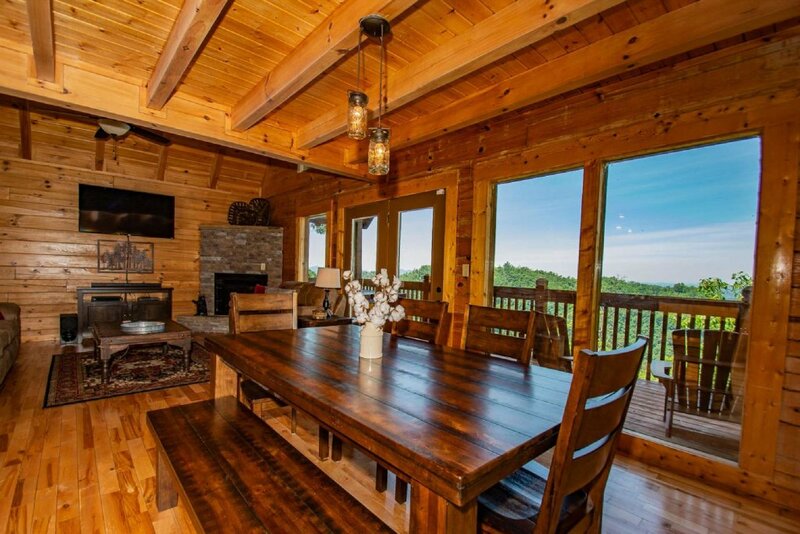 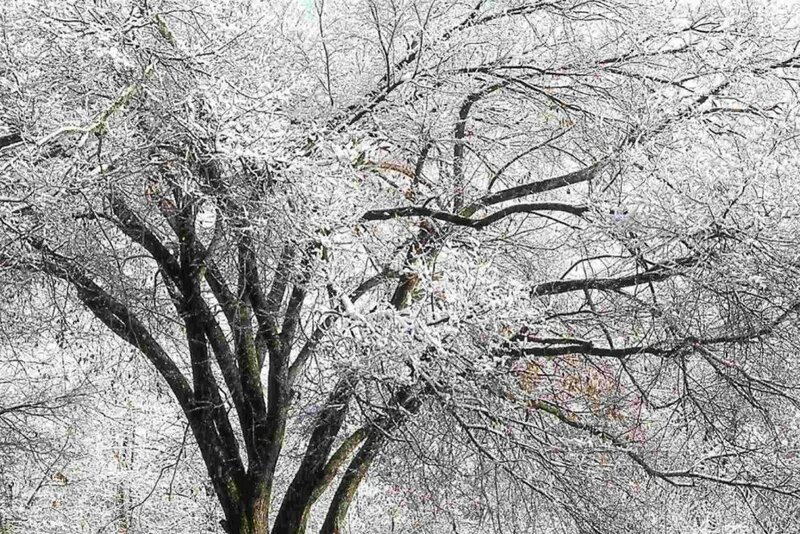 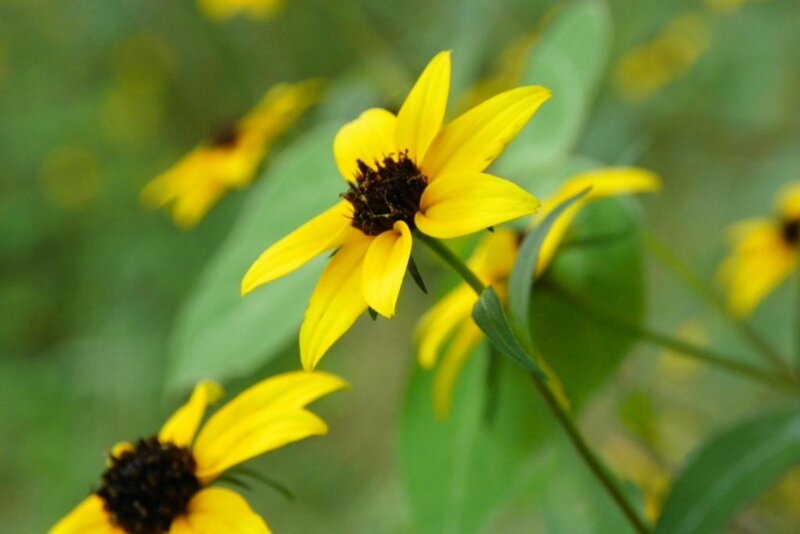 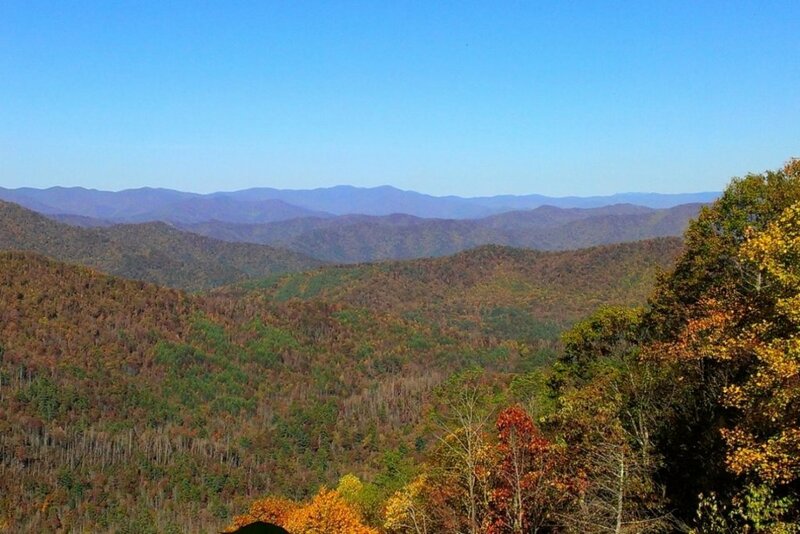 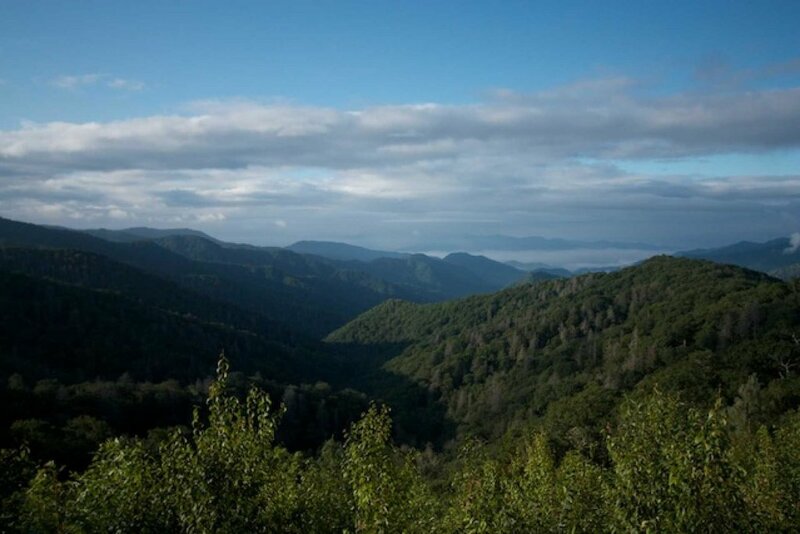 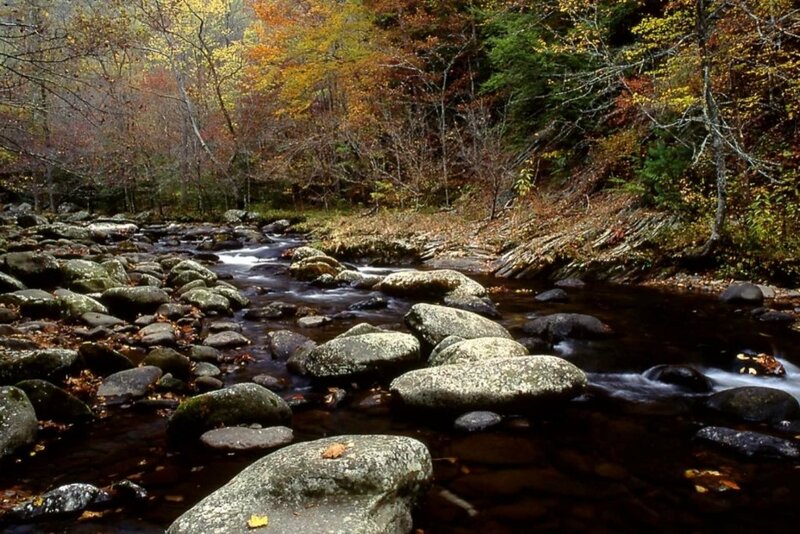 Make Falcon Ridge your next vacation in the Great Smoky Mountains and it will become your tradition for years to come.! 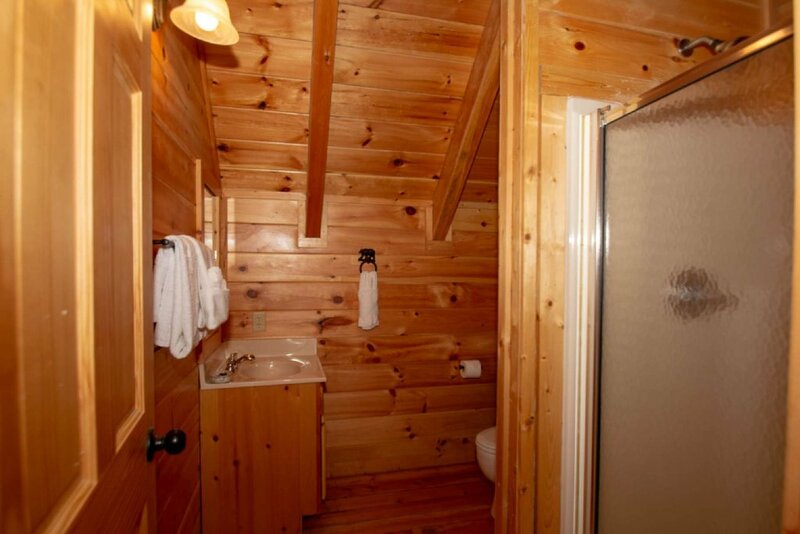 The main floor has a full bath and bedroom. 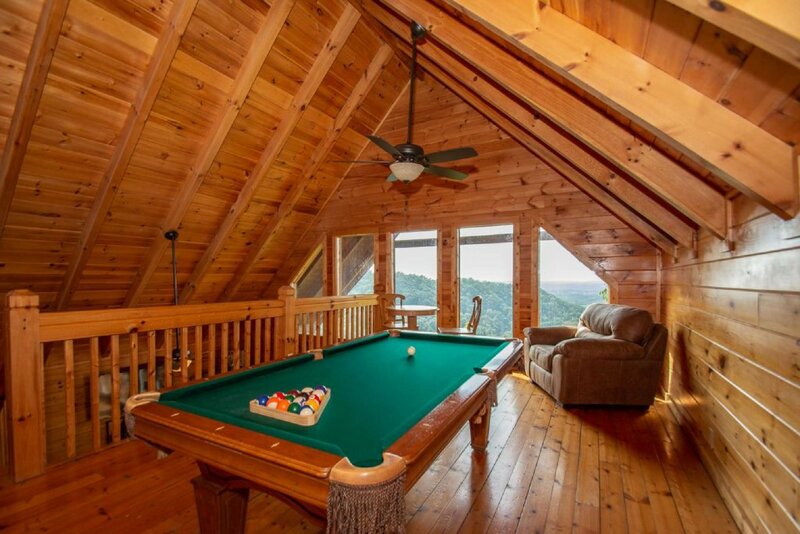 The upstairs has a loft area with pool table and master bedroom with adjoining bath and walk in shower. 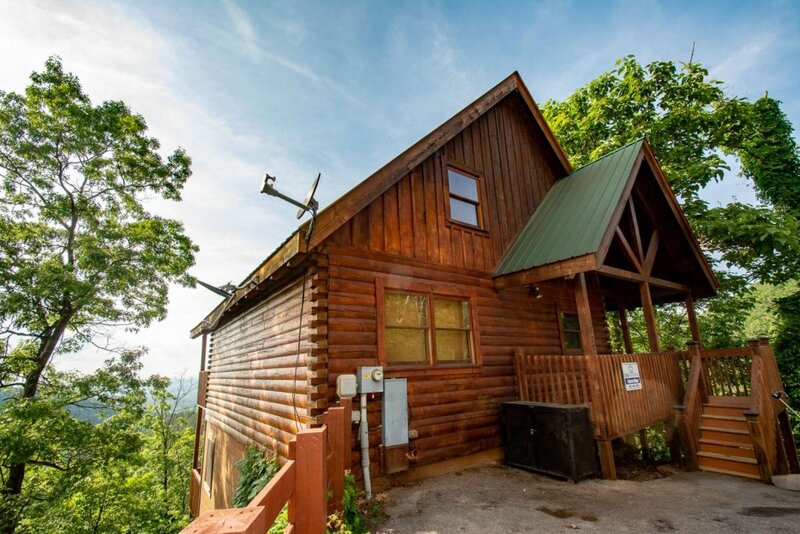 The lower level has 2 large queen bedrooms, a full bath, and you will also find the washer and dryer on this level. 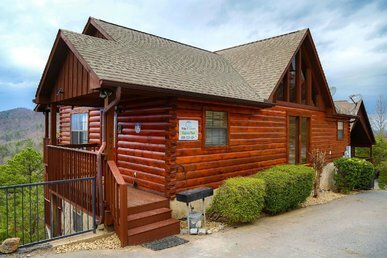 Convenient location, close to the area attractions, Dollywood and Splash Country and much more. 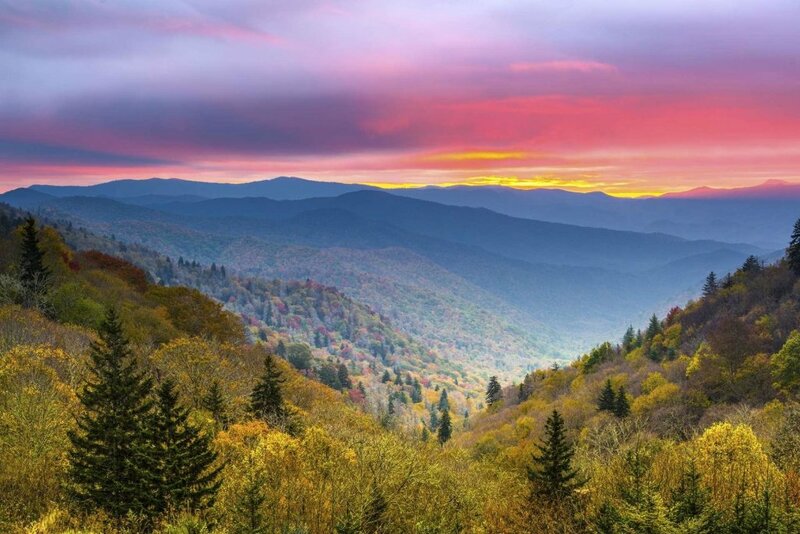 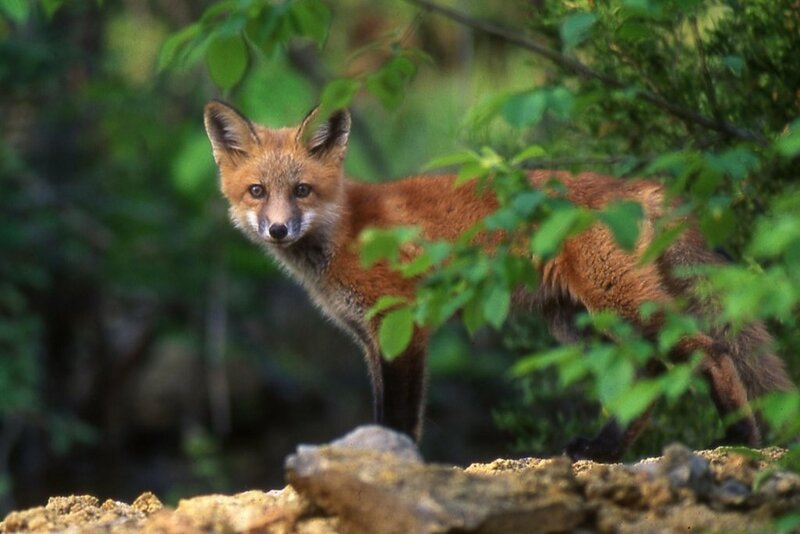 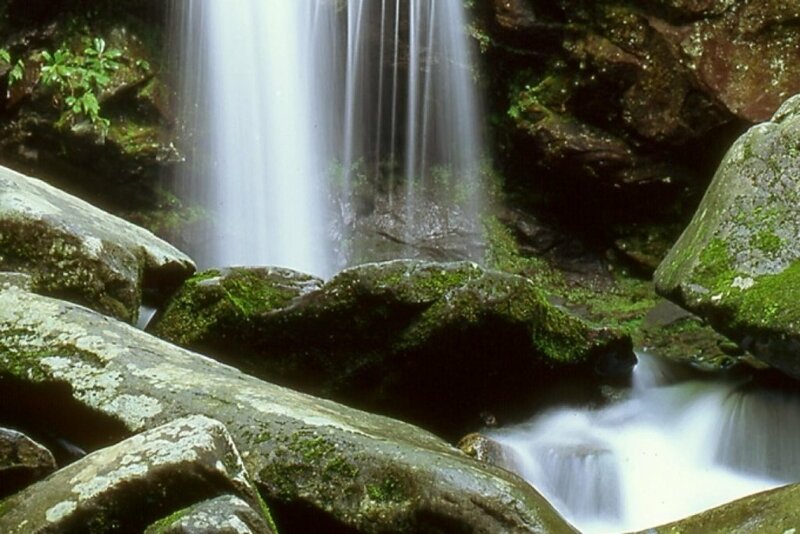 As our gift to you for booking with us, we offer free admission to select Smoky Mountain attractions. 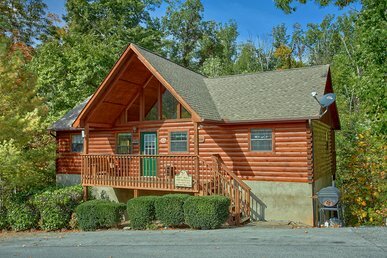 Called the Xplorie Program, our guests will receive one free adult admission ticket, per night stay, to attractions like the Ripley’s Aquarium, Hatfield and McCoy's Dinner Theater, Comedy Barn Theater, Smoky Mountain Opry, The Great Smoky Mountain Wheel at The Island, LazerPort Fun Center, Darren Romeo/Magic Beyond Belief and Amazing Animals.